The Cure saved my life. 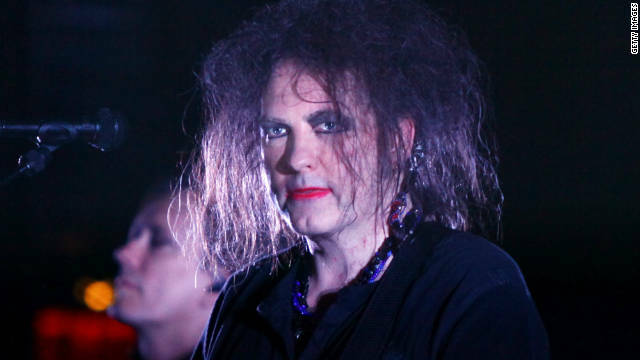 When I was a strange, bullied, sensitive and deeply depressed teenager in the late 1980s, lead singer Robert Smith’s weird, smeared beauty and bloody-voiced yowls were among the few glimmers of a world outside the one where my existence seemed less than entirely welcomed. Though the band’s 35-year catalogue is often ghettoized as Goth (which they wholeheartedly dispute) and characterized as gloomy and morbid, a glimpse past the cursory reveals a sunny, romantic, terminally goofball side. Wild mood swings from staccato, near expressionless punk to happy, trippy, manic bliss to raging, gut-cutting nihilism are The Cure’s stock in trade, and with each new offering, fans’ appetites are whet. Back in my basement-dwelling days, I had no inkling that I’d someday be listening to The Cure in the company of another living soul – let alone my future husband, certainly not the tens of thousands of fans singing along with every word at a sold-out Madison Square Garden show several years back, or the smaller, arguably more ardent crowd who fought tooth and nail to score seats at the six U.S. shows where The Cure played their first three (definitely not chart-topping) albums in order last month. It's kind of a geek's dream come true. "The Middleman," a comic book series and much-beloved, yet short-lived ABC Family TV series - now available on DVD - has been called "America's 'Doctor Who.'" In a new bit of dreamy time-travel sci-fi, the Middleman actually meets Doctor Who! Needless to say, there was much rejoicing in the nerd community over this work of fan fiction, including "Middleman" star Natalie Morales' response that the author "wrote her dreams." What is unusual about this particular fanfic, is the fact that the writer is Javier Grillo-Marxuach, the creator of "The Middleman." CNN Geek Out spoke with Grillo-Marxuach, a fanboy who is also known for his work on "Lost," "Medium" and "Jake 2.0," about this meeting of the Middleman and the Doctor. This week I've been piqued by a book from DC's big relaunch that has not gotten much attention so far. 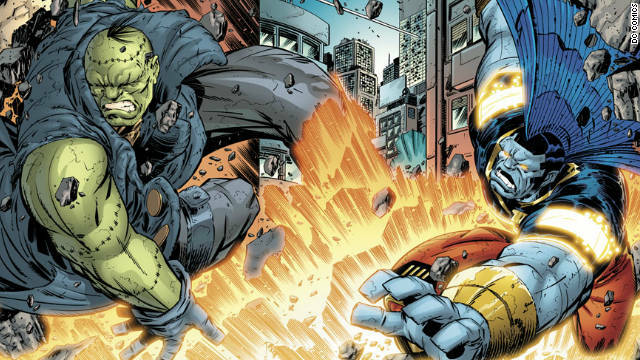 "OMAC" is a new version of a classic Jack Kirby comic book with Dan DiDio and Keith Giffen at the helm. Originally, "OMAC" was an anachronism for One Man Army Corps, but now it stands for Observational Meta-human Activity Construct. The story of how one became the other is why I'm reading this book. "I am geeking out! I love the title of this blog, I think it's wonderful. I feel like I'm in the right place. I'm home." 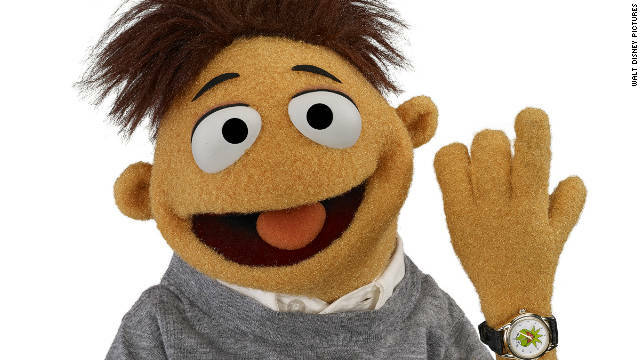 Walter, the newest member of the Muppets and one of the main characters in "The Muppets" movie (currently on track to be the highest-grossing Muppet movie of all time), spoke to CNN Geek Out for one very good reason: he is the world's biggest Muppet geek. Not that there aren't a few humans who might give him a run for his money. On numerous fan sites, such as ToughPigs.com and The Muppet Mindset, they discuss the latest news, the characters, the history and the inner workings of the Jim Henson Company. 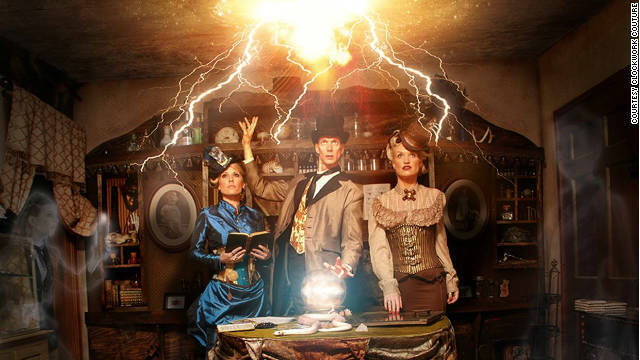 Clockwork Couture offers one-of-a-kind hats for steampunks. You’re wandering through the mall, intent on spreading holiday cheer and looking for gifts that suit the subculture nerds in your life. The last friend on your list without a check next to their name wears goggles in public and makes a show of checking their pocket watch as moving cogs and wheels adorn their Victorian era suit. Or perhaps they roll on thick black eyeliner, hammer their own swords in the backyard on Sundays or give anime characters a run for their money by bringing impeccable costumes to life.